NOTE: Made To Order Item...Please Allow Up To 14 Days For Item To Be Made Before We Can Ship This Out..Thank You. 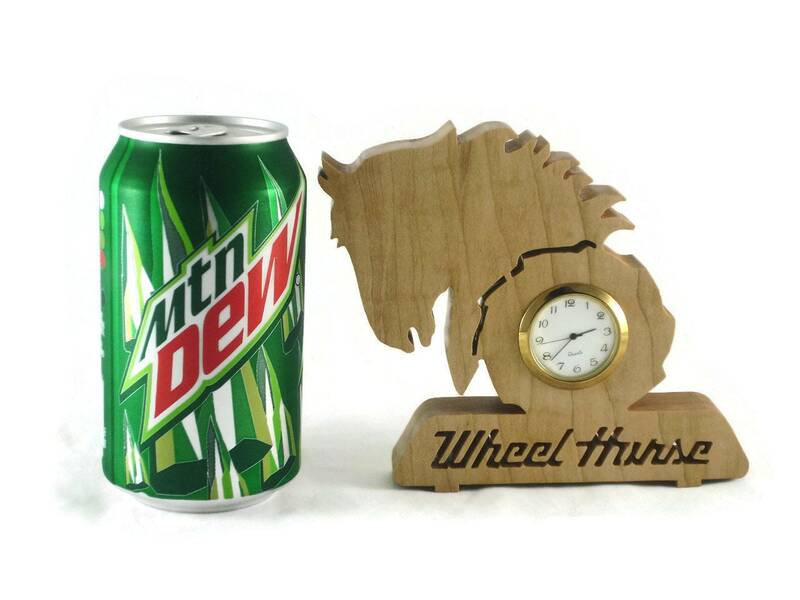 If you or someone you know is a fan of antique Wheel Horse garden tractors or snowmobiles then this little desk clock is for you. 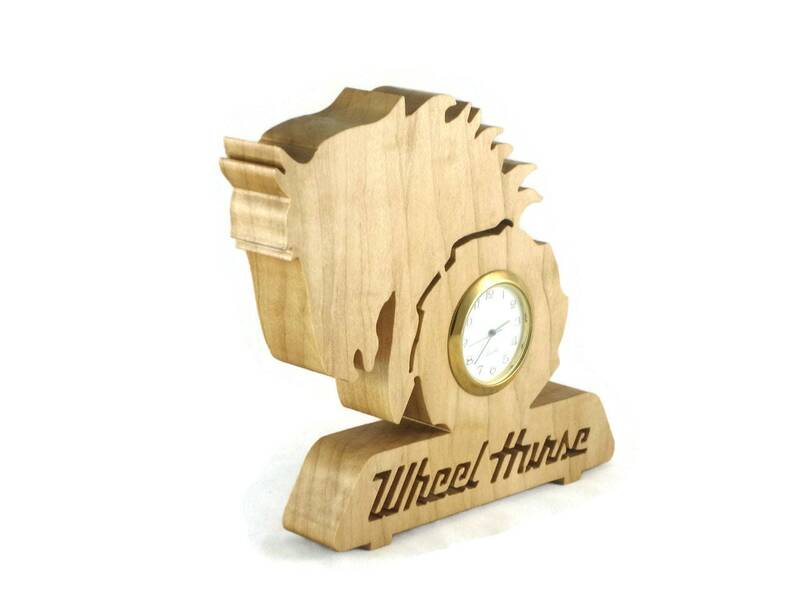 This Wheel Horse mini desk clock was handcrafted from Maple lumber using a scroll saw. 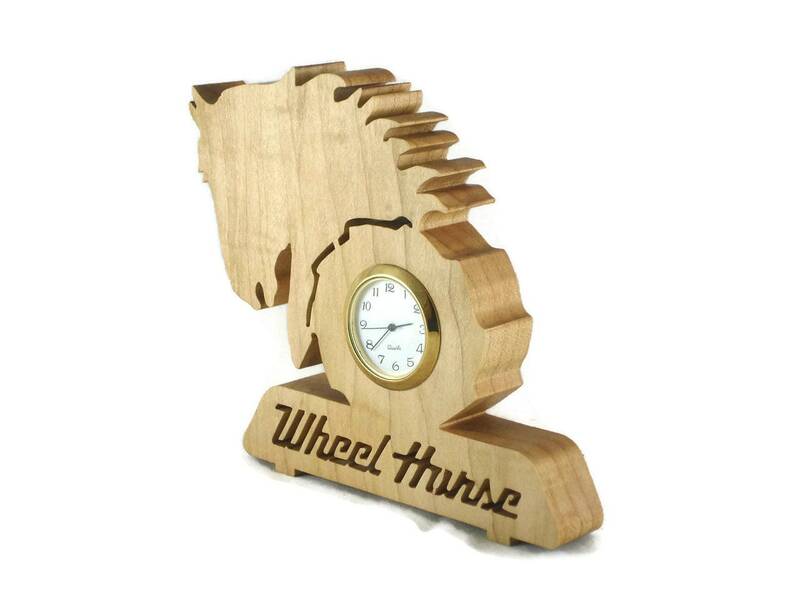 The Wheel Horse clock features a logo shape with the Wheel Horse name cutout below. The 1-7/16 Quartz mini clock insert features a glass lens, gold plated bezel, a white face with black Arabic numerals, and a stainless steel back battery cover. 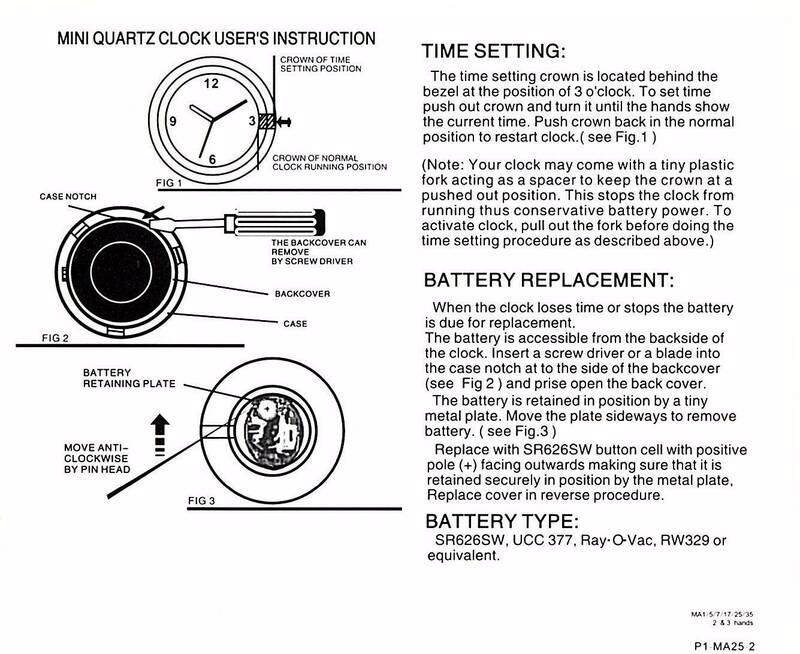 Battery installed and ready for you to activate it and enjoy this timepiece. 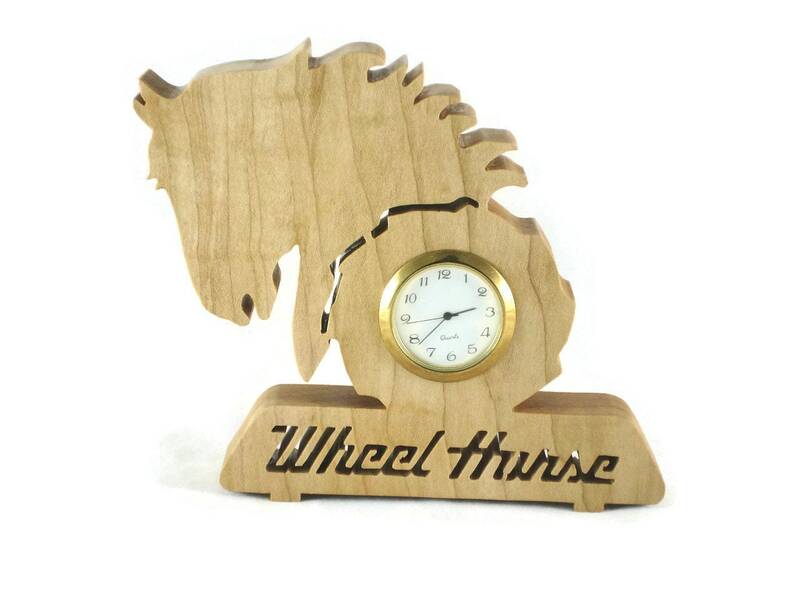 A natural color Danish oil finish is applied and gives this time piece a very smooth silky feel to it as well as beautifies the natural color and protects this natural beauty for many years of enjoyment. 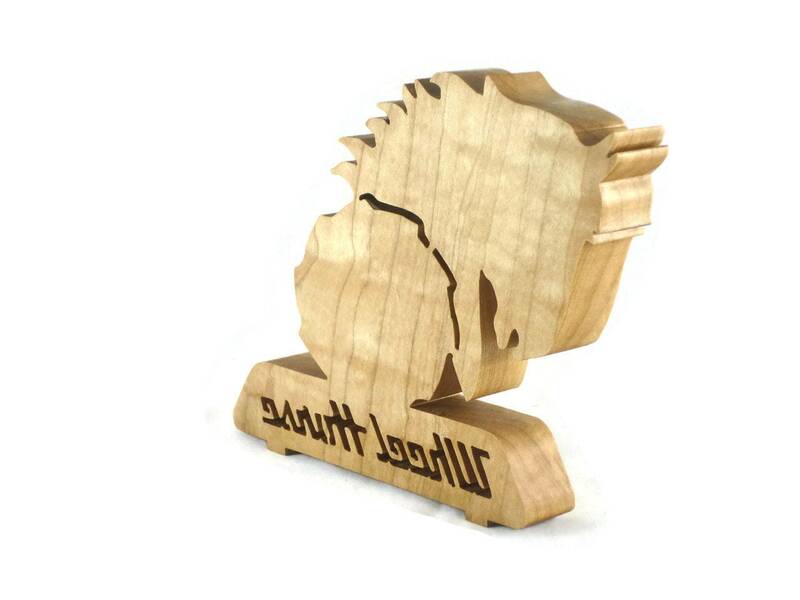 This measures approximately 5 inch tall x 6 inch wide and 3/4 - 7/8 in thick wood. Want this made from a different type of wood? Message me, I'd be happy to make one just for you! NOTICE: Actual wood grain and appearance may differ than that of the item pictured..If you would like to see the exact item you would receive then send me a message and I would be happy to send you actual photos of your item..